Lakehead University researchers are receiving Natural Sciences and Engineering Research Council (NSERC) grants worth more than $2.1 million. The following NSERC Discovery grants, given over five years, are allowing Lakehead researchers to examine better ways to harvest wind energy, to study the impacts of climate change and land use on the boreal forest, to investigate how buildings made of engineered-wood products respond in a fire, and study the formation of two dimensional polymers. Lakehead Engineering Professor Dr. Mohammad Uddin is receiving $155,000 to develop intelligent control algorithms that will help create more efficient systems for converting wind energy into electricity and more efficient motors for electric vehicles. Dr. Han Chen, a professor in the Faculty of Natural Resources Management, is receiving $170,000 to study the effects of global climate and land-use change on the diversity and ecosystem functions of the boreal forest. “My goal is to determine how and why human influences affect the boreal forest. We will help develop mitigation and adaptation strategies to benefit local and regional ecosystems,” Dr. Chen said. Dr. Sam Salem, an assistant professor in Civil Engineering, is receiving $110,000 to explore the structural fire performance of engineered-wood building systems. His project focuses on glue-laminated and cross-laminated timbers; two important components of modern building construction. “The findings of this research will contribute to the advancement of the design and construction of buildings made of engineered-wood products in Canada,” Dr. Salem said. Dr. Mark Gallagher, a professor in Physics, is receiving $100,000 to study the formation of atomically thin two dimensional polymers. In particular, Dr. Gallagher will investigate polymerization on silicon and oxide surfaces. “We anticipate that this research will contribute to the development of a new class of organic materials with wide ranging applications in electronics, optics, and sensor technology,” said Dr. Gallagher, adding that the majority of the grant will be used to support undergraduate and graduate student participation in the project. These four projects will support approximately 18 graduate (PhD and Masters) and 10 undergraduate students. Training of these highly qualified personnel will contribute to Canada’s economic growth and ability to respond to changing markets and environments. Also of interest is the $25,000 Engage grant awarded to Dr. Aicheng Chen, a professor in the Department of Chemistry and a Canada Research Chair, to assess the long-term durability of adhesive material used by Bombardier, which contributed $8,000 to the research. Dr. Chen will use a computer-controlled test chamber to emulate environmental conditions such as temperature, moisture and sunlight on bonded joints over a period of six months. “This research will allow Bombardier to better understand the physical and chemical properties of available adhesives in order to assess and identify suitable candidates that will work in North American environmental conditions,” Dr. Chen said. “These projects demonstrate the diversity of research happening at Lakehead University,” said Dr. Andrew Dean, Vice-President, Research, Economic Development & Innovation (Interim). “Congratulations to all of our researchers and thank you to NSERC for recognizing the importance of this work,” Dr. Dean said. Andrew Conly, Department of Geology, Petrogenesis of magmatic-hydrothermal graphite deposits: A case study of the Albany graphite deposits, northwestern Ontario, $76,750 from NSERC plus $60,600 from Zenyatta Ventures Ltd.
Dr. Adam Van Tuyl, Department of Mathematical Sciences, Applications of commutative algebra, $90,000. Dr. Julia Berashevich, Department of Physics, and Thunder Bay Regional Research Institute, The first principles methods applied to enhance a performance of new photoconductive materials in X-ray imaging, $95,000. Dr. Mark Gallagher, Department of Physics, Surface-confined polymerization on semiconducting and insulating substrates, $110,000. Dr. Baoqiang Liao, Department of Chemical Engineering, Anaerobic membrane bioreactor for bioenergy, $125,000. Dr. Deli Li, Department of Mathematical Sciences, General limit theorems in probability with applications to statistics, $70,000. Dr. Amir Hossein Azimi, Department of Civil Engineering, Experimental and numerical investigations of multiphase jets, $120,000. Dr. Salama Ikki, Department of Electrical Engineering, High spectral and energy efficient multi-user large MIMO (MU-MIMO) wireless systems, $125,000. Dr. Han Chen, Faculty of Natural Resources Management, Diversity and ecosystem functions of boreal forest under global changes, $170,000. Dr. Mohammad Uddin, Department of Electrical Engineering, Control strategies for wind energy systems and motor drives with efficient electric machines, $155,000. Dr. Azim Mallik, Department of Biology, Post-fire habitat conditions as drivers of progressive and retrogressive succession: seedbed filter, species traits and feedback of dominant plants, $120,000. Dr. Sam Salem, Department of Civil Engineering, Structural fire performance of engineered-wood building systems, $110,000. Dr. Rachid Benlamri, Department of Software Engineering, Semantic web-based medical documentation processing for healthcare collaboration, $100,000. Dr. Stephen Kinrade, Department of Chemistry, Aqueous chemistry and biochemistry of silicon, $150,000. Dr. Azim Mallik, Department of Biology, Productivity-biodiversity tradeoffs analysis of boreal mixedwood forests developing from a range of silvicultural intensity treatments, $25,000. Project undertaken in partnership with Tembec. Dr. Pedram Fatehi, Department of Chemical Engineering, Production of furfural from NSSC spent liquor, $25,000. Project undertaken in partnership with Lake Utopia Paper. Dr. Wilson Wang, Department of Mechanical Engineering, Assessment and characterization of bonding material properties, $25,000. Project undertaken in partnership with local company, Bombardier Transportation. Dr. Rachid Benlamri, Department of Software Engineering, Automated web data extraction for Canadian fundraising institutions, $25,000. Project also supported by Charter Press Limited ($10,000), the Ontario Centres of Excellence ($20,000) and Connect Canada ($5,000). Dr. Sudip Rakshit, Lakehead University Biorefining Research Institute and Department of Chemical Engineering, Development of enzyme catalyzed process for the reduction of beta-glucan during the malting process, $25,000. Project undertaken in partnership with Canada Malting Company. Dr. Aicheng Chen, Department of Chemistry, Assessment of ageing and long-term durability of adhesive materials $25,000. Project undertaken in partnership with Bombardier Transportation, which contributed $8,000. Dr. Mathew Leitch, Faculty of Natural Resources Management, Development of compression curves for determining accurate pulp pile masses based on volumetric measurements, $25,000. Project undertaken in partnership with local company CCS Central Computer Services Inc.
Dr. Elyasi Siamak, Department of Chemical Engineering, Air Disinfection for Bombardier Rail Car Passengers, $25,000. Project undertaken in partnership with Bombardier Transportation. Dr. Brian Ross, Faculty of Medicine, West Campus, Prebiotic beer development, $14,000. Project undertaken in partnership with Sleeping Giant Brewing Company. Dr. Lada Malek, Department of Biology is also collaborating on the project. Dr. Justin Jiang, Department of Chemistry, Identification of collaborative research projects in discovering novel anti-infectious agents, $1,880. Dr. Wensheng Qin, Department of Biology, Algal wastewater treatment and biodiesel production, $3,225. Dr. Wilson Wang, Department of Mechanical Engineering, Prognosis of dynamic properties of rod materials, $4,600. Dr. Wensheng Qin, Department of Biology, Genetically modified Trichoderma reesei strains for xylitol production, $4,920. Dr. Christopher Murray, Interdisciplinary Studies/Physics, EcoReach, $20,250. Co-applicants: Thamara Laredo, Interdisciplinary Studies/Chemistry, Maria Grazia Viola Interdisciplinary Studies/Math, and Rosario Turvey, Interdisciplinary Studies/Geography. Dr. Heidi Schraft, Department of Biology, BioTrek: biotechnology outreach for remote and underserved communities, $16,700. Co-applicants: Dr. Nandakumar Kanavillil, Interdisciplinary Studies/Biology, Dr. Sreekumari Kurissery, Interdisciplinary Studies/Biology. Joseph Tassone, Chemistry, Hemilability of Novel, Anionic [P,N]-Hybrid Ligands in Zwitterionic Platinum Group Metal Complexes. Matthew MacDonald, Electrical and Computer Engineering, Stereoscopic Imaging Based Laser Guided Telethesis for Human-Computer Interfaces. Oleksandar Bubon, Chemistry and Materials Science, Amorphous selenium based Geiger-mode photosensor. Robert Jackson, Biotechnology, Pathogen-host transcriptome analyses of whole-genome HPV16 variants in an immune-competent three-dimensional model of human skin. Melissa Togtema, Biotechnology, A single domain antibody to target human papillomavirus 16 E6: Its engineering and applications. Media: For more information or to arrange interviews, please contact Brandon Walker, Media Relations Officer, at 807-343-8177, or mediarelations@lakeheadu.ca. 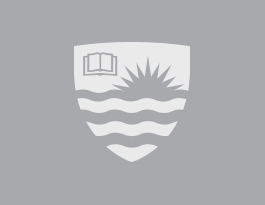 In 2015, Lakehead University will celebrate 50 years of exceptional education. Guided by a new Strategic Plan (2013-2018), our University is known for providing an education focused on independent thinking, unconventional scholarship, and a close sense of community. About 9,700 students and 2,000 faculty and staff learn and work in ten faculties at two campuses, in Orillia and Thunder Bay, Ontario. Home to Ontario’s first new Faculty of Law in 44 years (Fall 2013) and the Northern Ontario School of Medicine's West Campus, Lakehead is among Canada’s Top 10 undergraduate universities (2014 Maclean’s University Rankings), as well as 1st in Ontario and 2nd in Canada for its innovative research (Re$earch Infosource). Our Orillia campus is the first in North America to be built entirely to Leadership in Energy and Environmental Design (LEED®) standards. Share your Lakehead story as it relates to our Strategic Plan at www.lakeheadu.ca/presidents-office/nurturing-passion, and learn more about Lakehead at www.lakeheadu.ca.